Crunchy chocolate flavoured creamed biscuits! 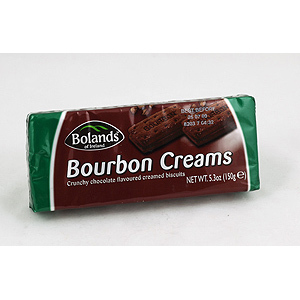 Bolands has been a leading Irish biscuit manufacturer for almost 150 years and is the company’s economy brand compared to Jacob’s premium positioning. Today, Bolands is synonymous with quality and value and is a traditional, reliable staple in any biscuit barrel.